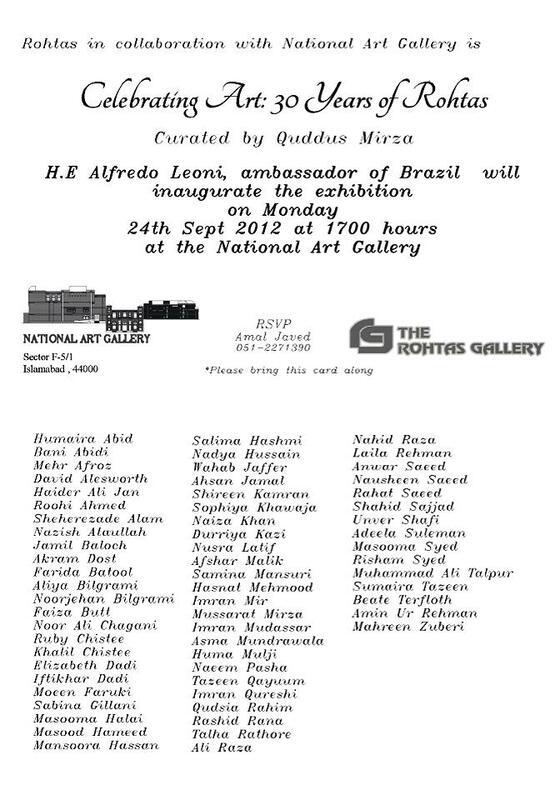 Largest exhibition of Pakistani contemporary art on display Sept. 24 at National Art Gallery, Islamabad at 5 p.m. to celebrate 30 years of Rohtas Gallery. Sixty five artists will exhibit more than 165 works in a testimony to Pakistan’s contemporary artists and an amazing journey through their growth and contribution to art over three decades. Rohtas Gallery opened in 1981 when a repressive military dictator ruled Pakistan. Rohtas Gallery defied constraints and offered space and inspiration to Pakistan’s artists who wanted to challenge contemporary thought and encourage others to do the same through their work. This exhibition on Sept. 24 celebrates Rohtas Gallery and Pakistan’s artists and their amazing journey together.